When Sallie LoBue and her family went looking for a web development company to design and brand their new restaurant located in Cary Illinois, they found a true partner with the team at Clicks Web Design. There are similar qualities shared by both parties. 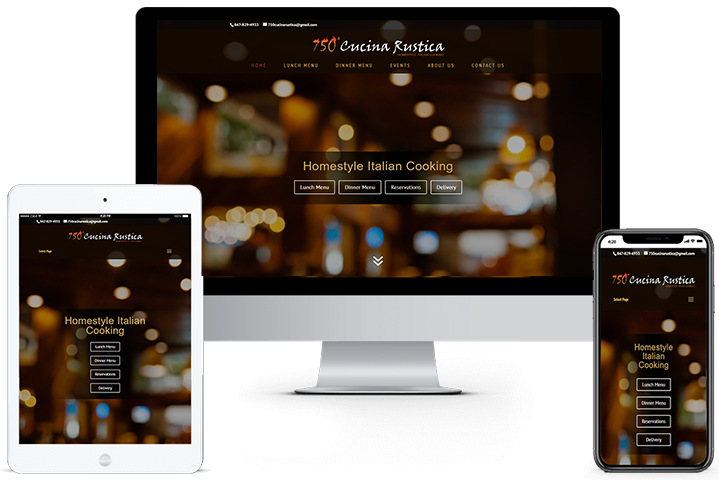 Clicks Web Design listened to the needs and vision they had for their new restaurant and created a logo design and website that matched the LoBue family’s passion for Italian food. Their shared passion for delivering top-quality experiences for their customers provided a common goal that was easy to define and achieve because of it.